One change that could save your health, time, money, the Earth, and your sanity. For real. UNC-Chapel Hill researchers have found that active commuting via biking or walking has major health benefits. 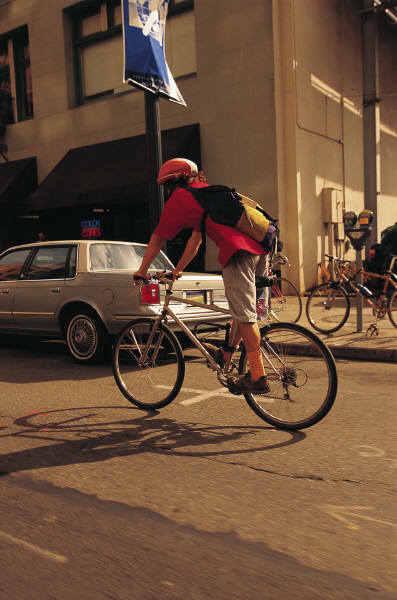 Active commuting also saves money, saves the environment, and, for some, it can save time. Plus, it’s a mental boost. It’s pretty hard not to bike to work or class without a smile on your face. If you’re biking on campus, you’ll need to take two minutes to register your bike with public safety. Hint: your bike’s serial number is usually on the underside of the frame. Also, check out this public safety website full of recommendations for safer biking. How about sweat? You have a few options. Head to a UNC gym for a shower. Or, since all Chapel Hill buses have super easy bike racks, you could load up your bike and bus it in and then bike home. You could also simply carry a towel or wet wipes and just wipe down. Don’t have a bike? The Recyclery bike shop in Chapel Hill teaches bicycle repair and maintenance and allows community members to earn a free bike. Pretty cool. Back Alley Bikes or The Bicycle Chain are both local shops that sell bikes. Or try Freecycle or Craigslist for free or cheap rides. Finally, if you do decide to bike, don’t even think about going helmet-free. You study or work at UNC-Chapel Hill for a reason: you’re smart. Protect your brains, people! Again, check out Freecycle or Craigslist for cheaper options if cost is an issue. And just for fun, drool over this futuristic invisible helmet and these cool bike lights. Have I convinced you? Pore over this awesome active commuting toolkit, which pretty much addresses any questions or concerns you might have. Signing up for the Cyclicious listserv is also a great way to keep up with local bike events. Also, walking and biking aren’t the only ways to actively commute. Skateboarding or Razor scootering would get the job done, too. 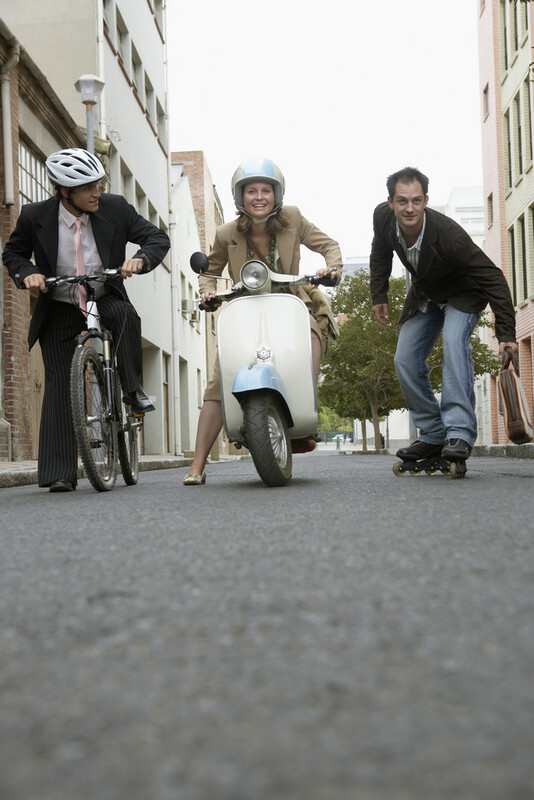 What’s your favorite way to actively commute? Have you noticed any benefits or changes? Previous Article To Douche or Not to Douche…. Next Article Busy College Students: You Too Can Exercise!